The home security camera market is teeming with all kinds of options and features, which makes the process of choosing the right one a bit overwhelming. This buyer’s guide will help make the research and purchase process much easier by cutting through the manufacturer jargon and providing relevant information for the everyday consumer - regardless of technical background. Readers of this guide should feel more equipped and confident when choosing a home security camera. 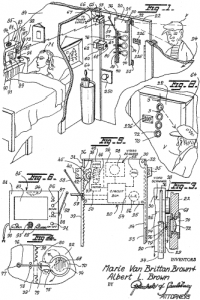 The first home security video system was created by Marie Van Brittan Brown in 1969. She patented a system of cameras which could look through one of four peepholes and then transmit the video to a remote monitor. As advances in technology provided smaller cameras with higher resolution, the “Nanny Cam” was introduced in 1992. It allowed parents to discreetly monitor their children and child care staff. IP cameras (or internet protocol cameras) debuted in 1996. Instead of transmitting images to a monitor, IP cameras sent their videos to computer networks and the internet. The primary function of a home security camera is to capture video of what’s happening in its field of view to be watched in real-time or later. In recent years, technology has made it so security footage can be monitored online. These cameras can be placed within the interior and/or the exterior of a home. Home security cameras act as a second pair of eyes when the homeowner or other family members aren’t home. Whether it’s to check on the babysitter, children, a pet, or the overall safety of the house, they give peace of mind and assurance that a residence is safe. Security cameras and surveillance cameras may be used interchangeably, but there are significant differences between the two. Security cameras actively monitor a home (usually through motion detection) and then send alerts via text/email to the homeowner and/or law enforcement about suspicious or unexpected events. Surveillance cameras or closed-caption TVs (CCTVs) do not scrutinize the videos found in their field of view. They provide a passive live feed that's recorded for later viewing or monitored by someone such as a security guard. The FBI reported that in 2015, there were over 1.5 million burglaries, with 71.5 percent occurring on residential properties. These crimes were expensive, costing the average victim over $2,300 or an estimated $3.6 billion in property losses.With those statistics in mind, home security cameras are a crime deterrent. When criminals scope out a home to burglarize or invade, the very presence of a security camera can discourage intruders from trying to break in. Even still, the more determined and experienced burglars can disarm or block visible security cameras, so the installation of both visible and hidden security cameras can strengthen the security of a home. Generally speaking, there are two types of home security cameras: indoor and outdoor. The key difference between indoor and outdoor cameras is that outdoor cameras were created to withstand the outdoor elements of temperature fluctuations, precipitation, the wind, and dirt. Besides indoor and outdoor home security cameras, there are other ones that serve different purposes (see below). Usually, most allow for monitoring while one is outside of the home with either a mobile app or web browser. These connect to the internet via Ethernet cables or through WiFi. Video can be viewed locally on a computer or sent to a cloud-based application or database. Although this can be a synonymous term with IP cameras, wireless cameras can send video and audio over a radio band through a wireless receiver (analog) or digitally. Unlike fixed cameras, which have a stationary lens and show the video of a fixed area, pan-and-tilt cameras show different parts of a room or place. Many come with zoom features, with optical being a more optimal choice (vs. digital zoom) since that allows for the resolution to remain the same. These types of home security cameras are ideal for large rooms or areas. Fairly new to the home security market are doorbell cameras, which show who's at the door. These cameras send video and notifications to the cloud when no one is present. Not only can video and images be sent, but audio can also be sent and received so homeowners can talk to visitors in real-time. More often used in businesses, dome cameras are a type of surveillance mounted on the ceiling for a bird’s eye view and monitor hard-to-reach places. There are indoor and outdoor versions, as well as infrared night-vision and vandal-proof versions. With the countless features and options for home security cameras, there are a few general things to consider that will make having a home security camera helpful and not burdensome. The current standard video resolution is 1080p, and although 4K resolution is a newer innovation that can be found in televisions, it has not yet crossed over into the home security video market. A higher megapixel count will improve the digital zoom of a home security camera. Although optical zoom has better picture quality, it isn’t as common as digital zoom. Not only does the video quality matter, but so does how wide a home security camera can see, or the field of view. The range of what wide-angle lenses can view is from 100 to 180 degrees. If a larger space is being monitored, a lens with a wider field of view will be needed. Where a home security camera is placed -- indoors or outdoors, small or large area -- will depend on the type of camera chosen. Some cameras are more discreet than others, yet some cameras, such as outdoor surveillance cameras, might mean to be seen as a way to deter theft. How easy or difficult it is to install a home security camera depends on where the camera will be placed as well as its connectivity— whether wired or wireless. Professional installation might be a better option, depending on the camera, the number of cameras, and home security needs. One’s technical comfort level is also a factor. The mobile app or web browser interface should be considered as they can be complicated or straightforward and user-friendly. Most home security cameras are IP cameras that utilize WiFi connections. Some also add Bluetooth to aid in setup while others use networks to connect and interact with other devices. Most cameras have a mobile app for a cellphone or tablet, and/or a web portal to receive video and alerts. Though some home security cameras have onboard storage capabilities, such as a microSD card slot, most send video footage to a cloud-based database. Storage amounts will vary, as well as how long video can be stored. A home security camera equipped with motion detection can alert homeowners of anything suspiciously or unexpected found in its field of view. Some home security cameras contain a microphone for sound recordings. They can also come with a speaker and act as a video intercom. This is more common with doorbell cameras or video doorbells. Since criminals typically operate under the cover of darkness, having a home security camera with night vision can greatly aid in viewing events that happen in low levels of light or no light at all. Home security cameras can vary widely in pricing, depending on the kind of camera, its features, and additional subscription services. Many home security cameras are a part of a package, which can come with multiple cameras as well as startup and monthly fees. Pricing can also depend on whether a homeowner chooses to install a system or a professional company. The size of the area monitored will also impact pricing. The following are general pricing guidelines and ranges. Prices are per item. 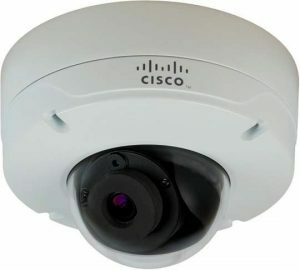 Security company design and installation (CCTV) Basic: $1,000 to $2000; High-end: $2,000 to $9,000. Home security cameras can offer peace of mind when homeowners are away from home. They can also provide a defense against terrorist activity as shown in the video below from the FBI. With a large variety to choose from, homeowners can find a home security camera system that fits their needs and budgets.